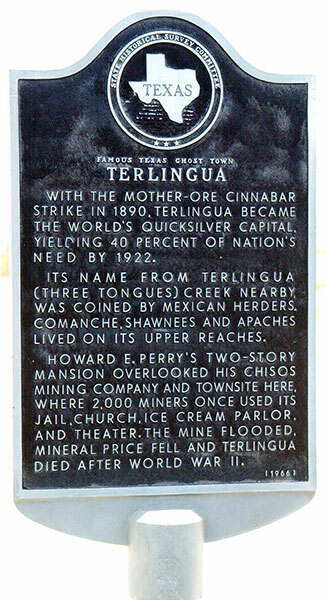 The quicksilver treasure of Terlingua is gone. 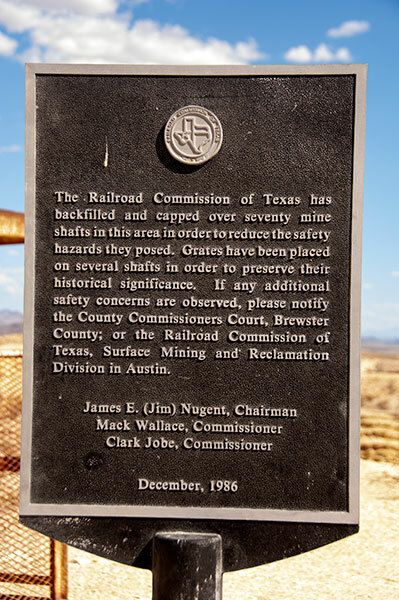 Millions of dollars in mercury were carried by wagon to the railroad in Marathon and Alpine, leaving only tailings and dust behind. Even most of the memories are gone as well, but a special spirit remains. Most of the company's major structures are long gone or in ruins, but a few key buildings exist, hinting at the industriousness of the pioneering miners. This is the actual company store. Under new management. 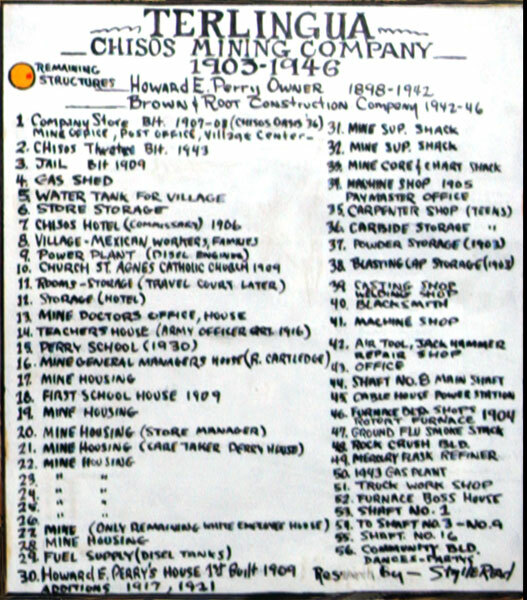 This historical painting details the layout of the Chisos Mining Company and can be found today inside the Terlingua Trading Company, the company store. The workers' homes were provided rent-free and were worth every penny. 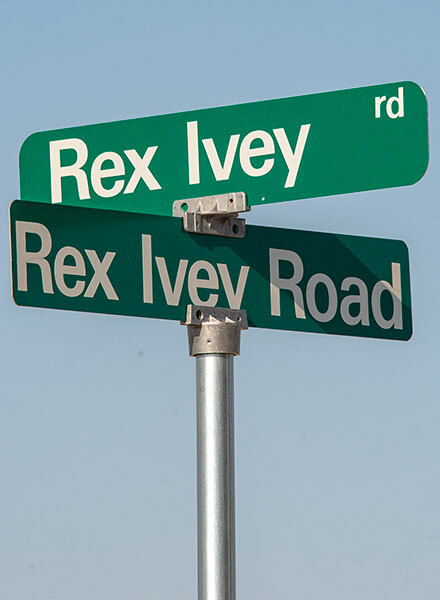 Today, some of the original structures have been reclaimed and updated by Terlingua residents. The Perry School is enjoying a perpetual recess. 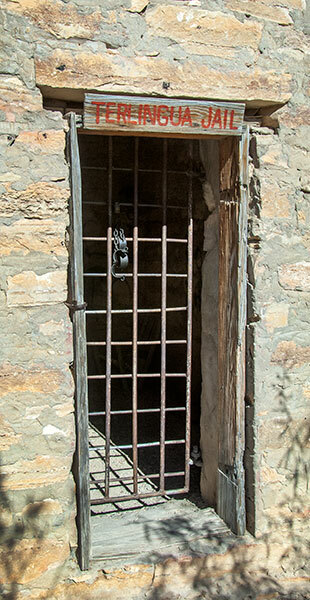 Most of the mine shafts have been filled and closed, but a few are left beneath steel grates for historical reflection. 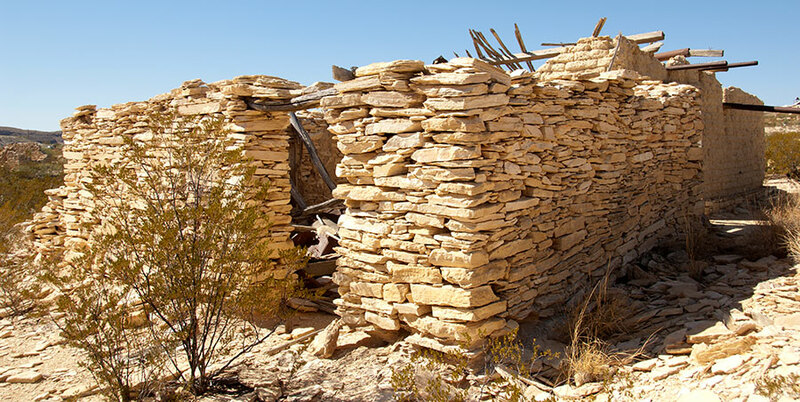 Admission to the Terlingua Ghost Town is free. Live it up. 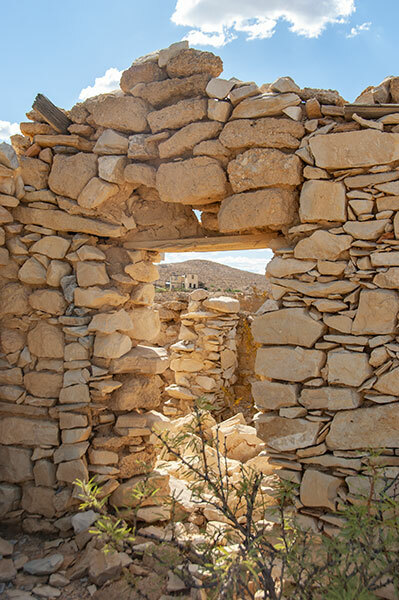 The historic Terlingua cemetery still has all its original residents, plus a few extra free spirits. 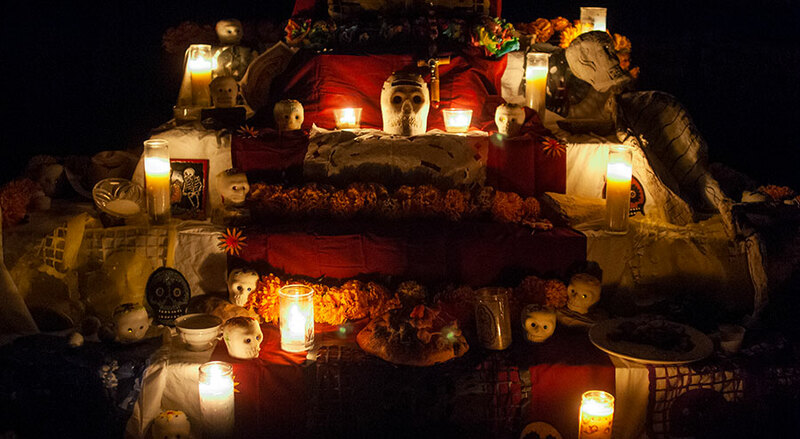 Please be respectful of our history and we promise that our ghosts will treat you well.